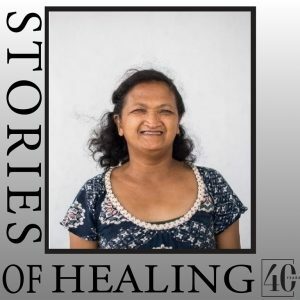 When Sahondra caught a glimpse of Africa Mercy docked in Toamasina, it took her right back to the moment she was admitted to another vessel of mercy – the hospital ship that delivered her healing nearly two decades earlier. Since birth, a cleft lip and palate had limited Sahondra’s ability to eat, speak and even breathe normally. It was nearly impossible to take short controlled breaths through her mouth to ease her asthma attacks. Her cleft lip split her upper lip apart up to her nose, attracting awkward glances from strangers. At thirty years old, Sahondra had no hope she could live a normal life. 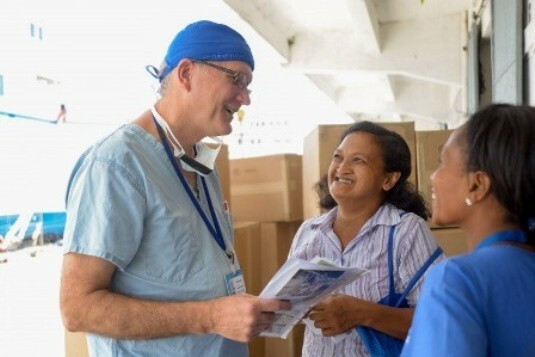 The first Mercy Ship Anastasis visited Madagascar in 1996 on a three-month medical mission. The brief stay had an enduring impact. People excluded by society because of their physical conditions experienced love and compassion by the all-volunteer crew. And among those treated was Sahondra. Sahondra, received two free surgeries that repaired her palate and pharynx. Her asthma disappeared, and for the first time ever Sahondra could eat normally. And people could finally understand what she was saying. When Sahondra bid farewell to the Anastasis in 1996, never did she imagine that she would see a Mercy Ships vessel or the people aboard again. However, 18 years later, she stood on the dock waiting for her old surgeon Dr Gary, to come down the gangway of a different Mercy Ship – the Africa Mercy. Sahondra didn’t just return to the ship for a reunion. She underwent a second set of free surgeries on her palate to offer her the best chance at speaking perfectly, and received speech therapy to help her pronounce words clearly for the first time in her life! While Dr Gary worked on her palate, Dr Tertius separated three toes on her right foot and two toes on her left foot, which had been webbed together since birth.